The man that welcomed us to City 17 has passed on. Actor Robert Culp, who played Wallace Breen in Half-Life 2, died yesterday aged 79. Culp was rushed to hospital after falling outside his home in L.A yesterday. He was pronounced dead shortly later. No foul play is suspected, though an autopsy by the County Coroner’s office is pending. Most famous for his television and film work – in particular his role alongside Bill Cosby in I Spy, the popular 60’s secret-agent series – to gamers Culp will always be Dr Wallace Breen. 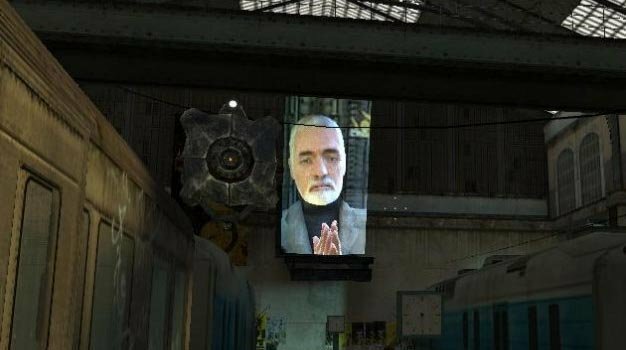 In Half-Life 2, Breen is the dictator-like ruler of Earth, controlled by the Combine. The early section of the game, where Gordon explores a brutally sparse City 17 under the omnipresent propaganda blare of Culp’s Green, is among gaming’s most enduring and atmospheric scenes. Culp is survived by his wife, five children and five grandchildren.